Whether your needs are decorative, security, sound insulation, retaining, wind or fire protection, All Day Fencing can provide the perfect solution! 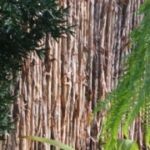 Bring the beauty of the Australian bush into your backyard with our range of natural brush fences, or modernise your home with our new timber slat fences and screens. 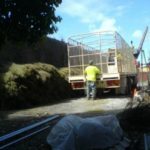 All Day Fencing, supply and install brushwood, tea tree, steel and timber fencing and gates to all areas. 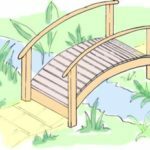 Pool fencing, gazebos, decks and pergolas. 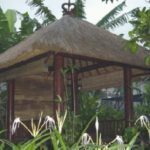 Fencing can be constructed from many different materials including timber, brick, steel, brushwood, glass, stone even natural planting or prefabricated materials. For some, fences are a matter of art and there are no limitations on the materials or styles used. Paling fences are available in both treated pine and hardwood and can be built in heights up to 2.1m. 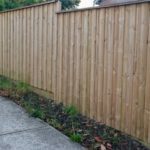 (Most councils require approval for dividing fences over 1.8 metres). Paling fences are available in three designs, standard paling, lapped paling and lap and cap paling. The posts can be timber or galvanized steel. More information. 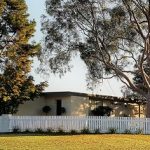 Picket fences can be constructed using wood, aluminium or steel and can incorporate wood or brick posts in a range of styles and finishes. 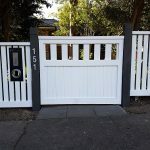 Picket fences can be ‘open’ or ‘closed’ designs (with or without a frame and capping) and are usually supplied primed and ready for a top coat of paint. 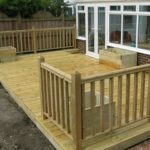 Closed picket designs are also referred to as balustrades and are usually located around pergolas or outdoor structures, they are also becoming increasingly popular as front fences. More information. 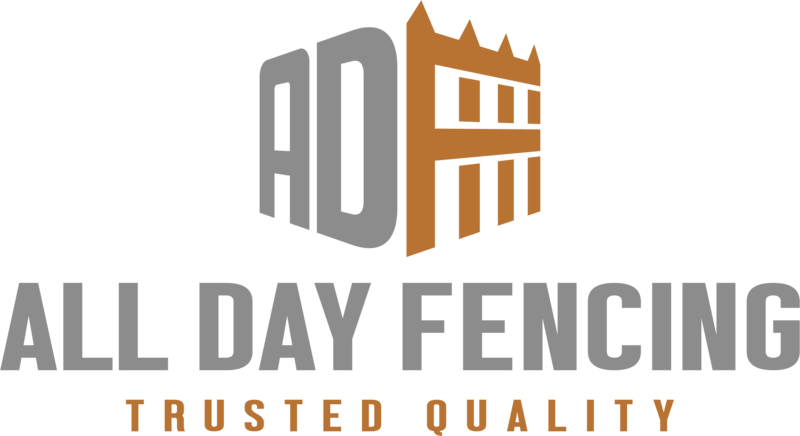 All Day Fencing manufacture a range of gates from simple wood panelling to solid timber gates in Federation, Victorian, Colonial and modern designs. Constructed from primed and treated timbers these gates are long lasting and attractive. More information. 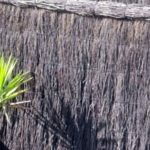 Slat screens can be fixed over existing walls and fences and are ideal for privacy screens and shade screens. Modernise your home with the new range of stained timber screens and fences! Or enjoy the architectural look of metal slat screens and fencing. Metal and timber horizontal slat fencing is also used as infill panels on brick / composite fences. More Information. 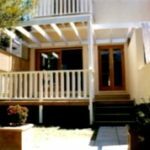 Balustrades are defined as having a top handrail, pickets and a bottom rail suspended above the ground or floor. 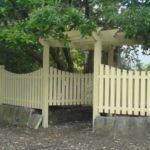 Suitable for verandahs, pergolas, gazebos, stairs, general fencing and external structures, balustrades are supported by posts or walls at either end. Pre-primed and treated handrails and balistrades are available for both internal and external applications. Balustrades are suitable for Federation, Victorian, Heritage or contemporary designs. More information. 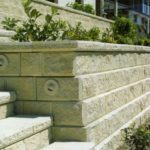 Retaining walls may look like simple stacked stone, blocks, plynths or logs. But in fact, they’re carefully engineered systems that wage an ongoing battle with gravity. They restrain tons of saturated soil that would otherwise slump and slide away from a foundation or damage the surrounding landscape. More Information. Retain your view! 10mm or 12mm Toughened Glass Safety Pool Fencing can secure your pool areas without hiding the view!! 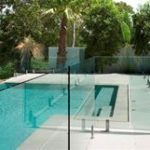 Glass pool fencing is installed with anodised stainless steel fittings for durability, ease of installation and good looks. More information.